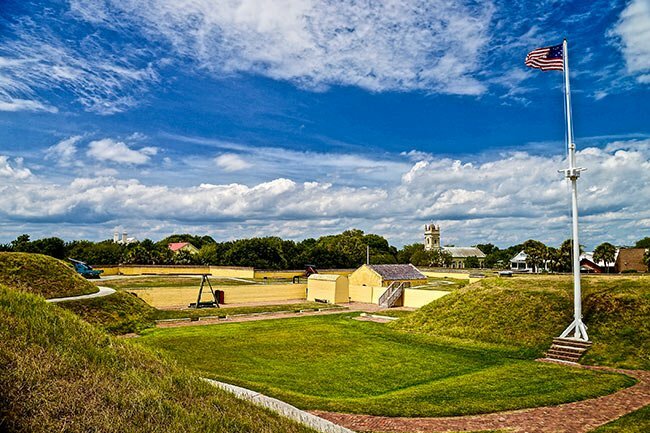 Fort Moultrie on Sullivan’s Island was still under construction – using mostly slave labor – when it repelled the June 28, 1776 attack by Sir Henry Clinton’s British fleet during the Revolutionary War. The fort, then called Fort Sullivan, was occupied by a South Carolina militia led by Colonel William Moultrie. The citadel was built of the most abundant material available on the shores of Sullivan’s Island – palmetto trees (Sabal palmetto). The fibrous material that comprises the palmetto’s long, trunk-like stem allows the trees to survive the conditions on a maritime strand, bending without breaking or being uprooted. This same trait allowed Fort Sullivan to absorb Commodore Peter Parker’s cannons without destroying or compromising the fort. When the British moved in closer to continue firing at the fort, their ships ran aground on sandbars, rendering them vulnerable and securing a victory for the Patriots. 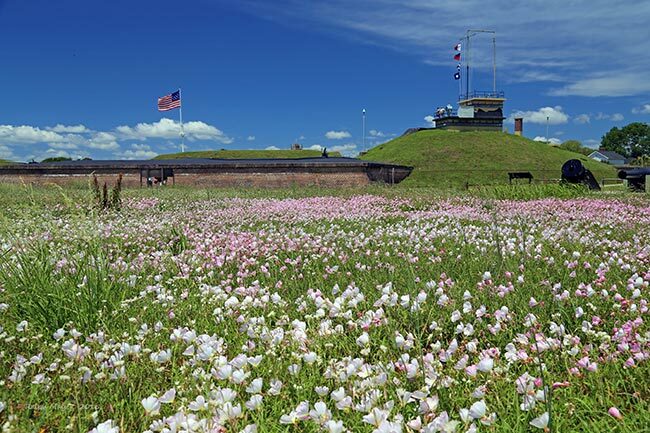 Following this decisive defeat of the British, the garrison was renamed Fort Moultrie for the battle’s hero. Prior to the battle, Colonel Moultrie designed the state flag, which featured an image of “a crescent in the dexter corner” of a field dyed the blue of his troops’ uniforms. Though the crescent appears to be a moon, according to Moultrie’s memoir, it represents a gorget, taken from the emblem on the mens’ caps. The flag was altered in 1860 to incorporate the image of a palmetto. Today, June 28 is celebrated each year as Carolina Day. 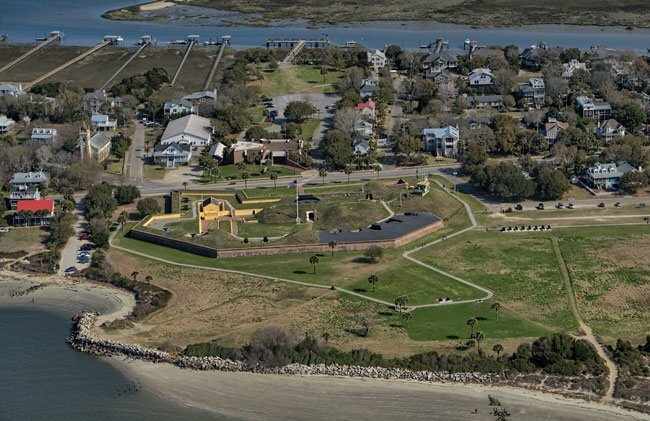 Fort Moultrie was rebuilt in 1798 and again in 1809. 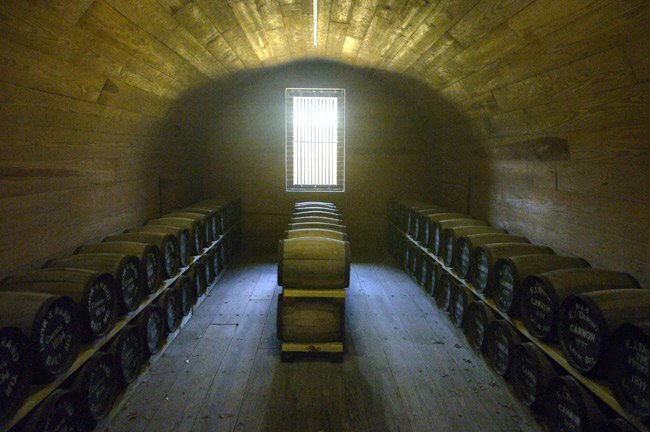 Well-known Americans stationed at the fort during the first half of the nineteenth century include Edgar Allan Poe, who is said to have gleaned inspiration for his story The Gold Bug while stationed there from November of 1827 through December of 1828, and William Tecumseh Sherman, who stayed at Fort Moultrie from 1842 until 1843 and again from 1844 until 1845. 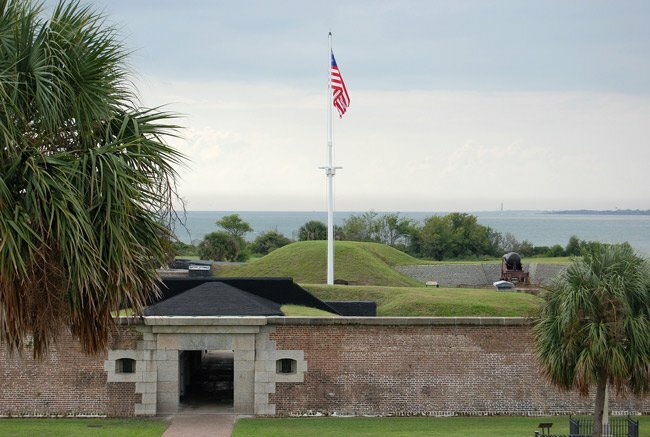 In December of 1860 Union officer Major Robert Anderson and his troops were occupying the fort when they evacuated to Fort Sumter, about one mile off the Charleston harbor. 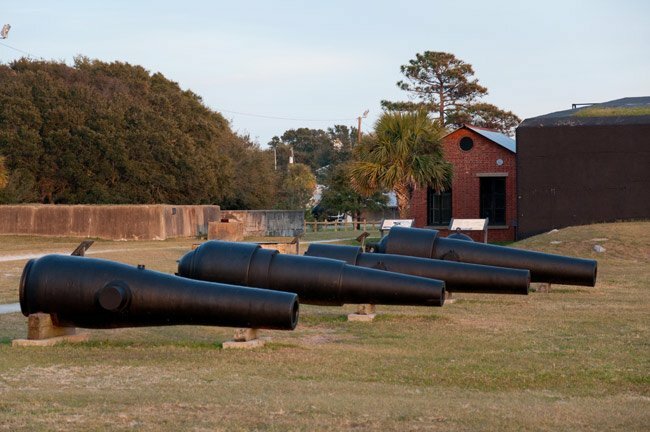 Confederate soldiers then moved into Fort Moultrie to defend Charleston during the first battle of the Civil War. Major Anderson and his troops were defeated in the Battle of Fort Sumter, with Confederates firing from both Fort Johnson and Fort Moultrie.